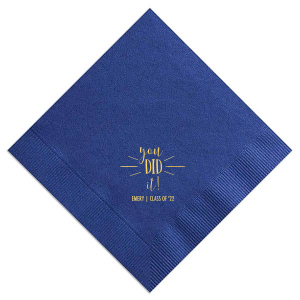 This is the first day of the rest of your life, so make the perfect graduation dinner napkin for your celebration. 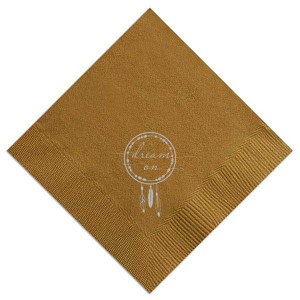 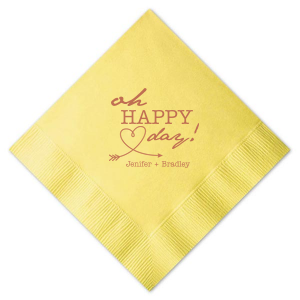 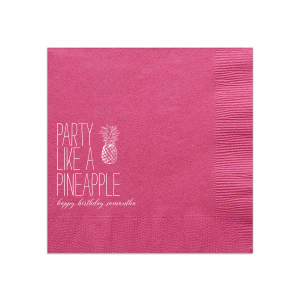 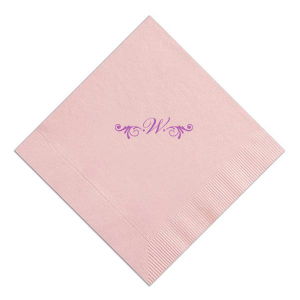 Each of your party guests will love using dinner napkins with the custom design of your choice. 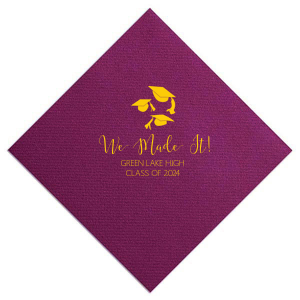 Either pick from the ones below or create your own with the FYP Customizer. 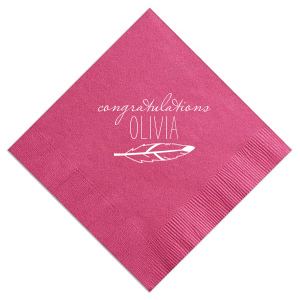 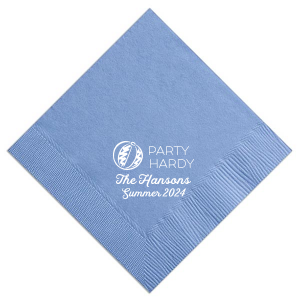 Follow your passion—for your graduation party—and personalize the dinner napkin of your dreams. 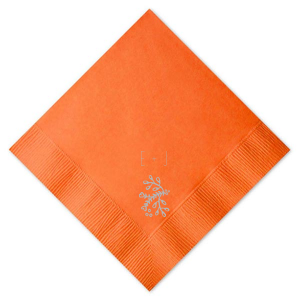 Pick from any of the spectacular designs above or create your own dinner napkin using the FYP Customizer. 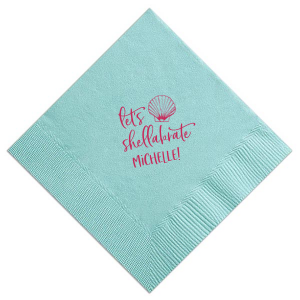 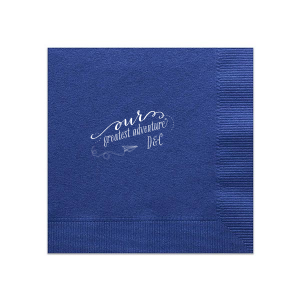 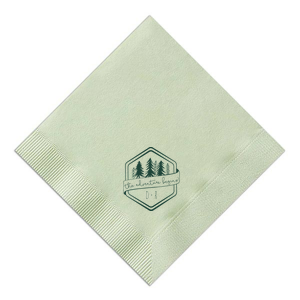 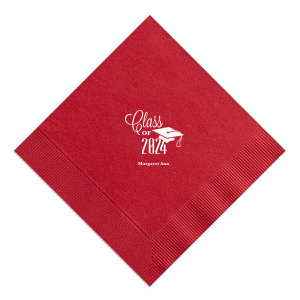 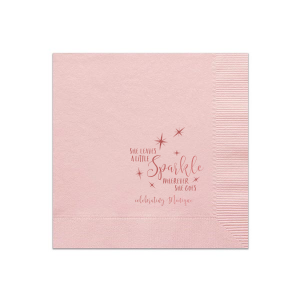 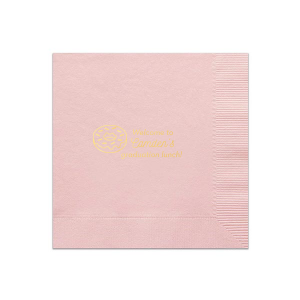 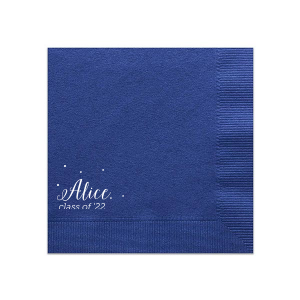 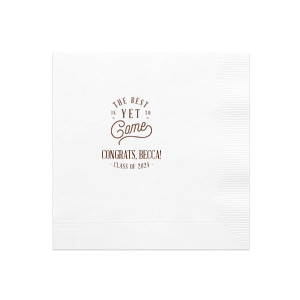 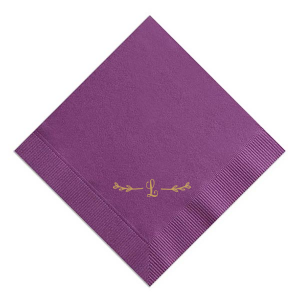 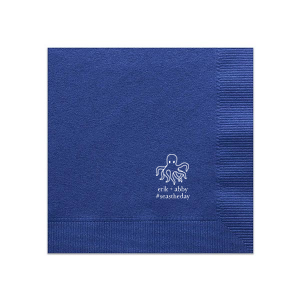 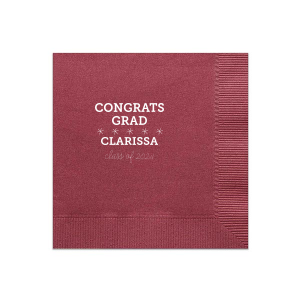 With plenty of space and many colors to choose from, the dinner napkin can have everything from your graduation theme to "Class of" foil stamped in a range of colors. 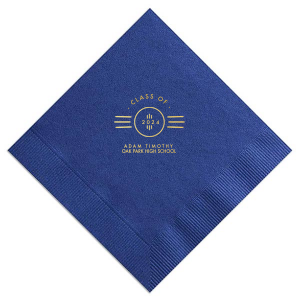 The dinner napkin unfolds completely to 17" x 17" and is a large square napkin. 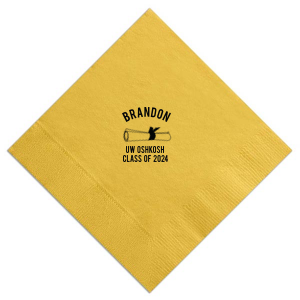 Instead of worrying about folding cloth napkins, use the sophisticated and personalized dinner napkin for your graduation party. 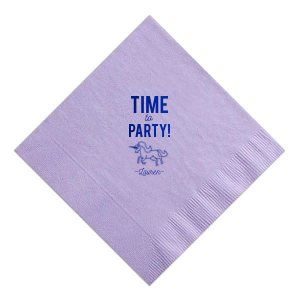 And save on clean up time by using disposable party napkins! 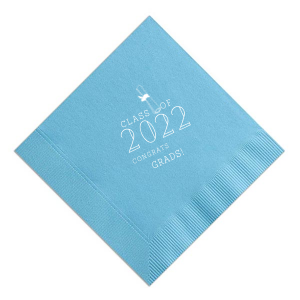 Make your party a passion project and create brilliant graduation dinner napkins as a custom touch.